Twisting dynamics, curving shapes and sensuous layering in buildings shout out loud that they are Hadid. Commonly known as “Queen of Curves”, Dame Zaha Mohammad Hadid was born in Iraq in 1950. The politician father and better days of Iraq with religious diversity brightened up the chances that Zaha Hadid would go beyond in her educational qualification. Hadid started off her studies at the American University in Beirut, where she studied mathematics. As a result of outbreak of war with Iran, she moved with her family to London where she enrolled at the Architectural Association School of Architecture in 1972. After getting done with her graduation in 1977 she commenced her career by first joining the Office of Metropolitan Architecture and also taught at the Architectural Association with collaborators Rem Koolhaas and Elia Zenghelis. 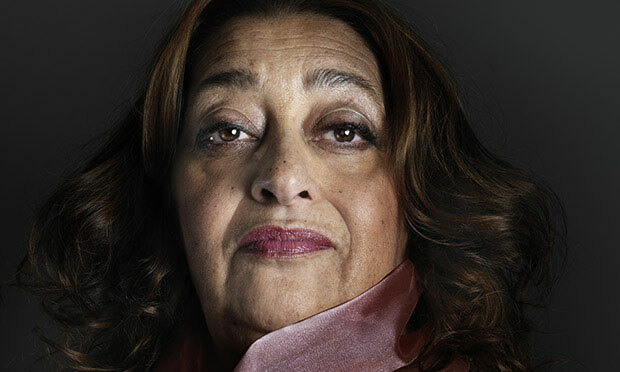 To face the real world challenges, Zaha Hadid opened her own office in 1980. Initially it was not a very welcoming experience and for many years her designs faced rejection for being too impractical and unrealistic. Hadid, being a young architect and new to this field felt so dejected that she once thought about giving the profession up in 1950. London, her embraced homeland, gave her the biggest rejection of time. But the toughness, consistency and stiff intellectualism did not let her run away and eventually she emerged as a notable figure in the field of architecture. First major project of Zaha Hadid was constructed in 1993-1994 in Germany. The unique feature about this project was its numerous irregular angles. Designs of Hadid in 1970s and 1980s reflected an intense understanding of 20th century. She draws her inspiration majorly from nature, it’s meandering forms, flowy landscapes and other physical features. She explored new dimensions of architecture and pushed its boundaries to a much widened context. Her international stardom began when her design for Cincinnati, Ohio’s new Center for Contemporary Art was selected and built, earning worldwide acclaim. She has won a number of competitions with first prize in succession but for a peculiar period of time her achievements in such competitions remained confined to small projects. Some of the major exhibitions of her work comprise of Retrospective at the Architectural Association, London (1983), Grand Central Station New York (1995), ICA Institute of Contemporary Arts, London, UK (2000) and Castello di Rivoli, Rivoli (Turin), Italy (2001). From urban landscapes to interiors and furniture designs, Zaha Hadid covers up every field of design. There was a time when she secured the position of an architect whose work never made it to construction but today she is the architect who is unstoppable from constructing all sorts of buildings addressing a variety of functions and programs. Her office comprises of 400 staff and caters more than 900 projects in about 44 countries. Strong will, solid determination and thinking ahead of time has scored her the position among best leading architects to whom a huge lot of young architects look forward for inspiration.